Thank you for taking a moment to learn more about our benefits of membership. I hope you will join our community of science enthusiasts, scientists, engineers, innovators, entrepreneurs, teachers, educators, science fair organizers, mentors, advocates, artists, moms, dads, and everyone who aspires to keep science a priority. Like you, we believe our most innovative, imaginative, sustainable future is only possible if more people speak the shared language of science. Together our members advance scientific literacy and innovation and give more curious, creative young people a chance to launch their own science journeys—so they can change our world for the better. As a special thank you for your support, you may receive the following benefits and first-time premiums when you join or upgrade to a new level of membership. Science News magazine - available online, on your phone, and in print. Receive full digital access to Science News magazine — the fastest, most accessible way to learn about today’s most fascinating research and discoveries. Access to the Science News app, available from the Apple App Store or Google Play. Unlimited access to sciencenews.org, including fascinating archives going back to 1924. A monthly member-only e-newsletter from Society for Science & the Public alerting you to news, opportunities, and events. Email invitations to Society-hosted Facebook Live events. Get home delivery of Science News magazine —receive a full year (23 issues), a $50 value. Shop with the “Hungry for Science/I Stand with Science” reusable tote bag. 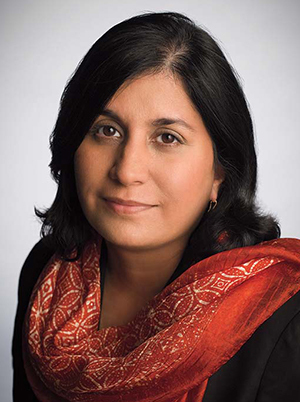 Stay informed with special updates from Maya Ajmera, President & CEO, and other science experts. Travel in-style with an "I fly with Science" luggage tag. Listen to audiobooks recorded by your favorite Science News writers and editors. Share science with others using your science themed greeting cards (blank inside). Receive invitations to special receptions, programs, and conference calls with Maya Ajmera, President & CEO, or other Society leadership, or science experts. Encourage others to ask you about science by wearing your Society for Science & the Public baseball hat featuring the Milky Way Galaxy. Let us thank you by recognizing your generous support in our Annual Report. Jot down your thoughts on science with an elegant bound journal. Accent your wardrobe with a Society for Science & the Public lapel pin featuring the Milky Way Galaxy. Receive personal updates, special invitations, and announcements from Maya. Read a book written by a Society for Science & the Public Alumnus. Enjoy a lunch and a conversation about science with Maya, or other Society leadership, or science experts. Dress your science-best with a scarf designed by Walter Gilbert, molecular biologist, world renowned photographer and Nobel Laureate. Enjoy personal communication and meetings with Maya, or other Society leadership, or science experts.